Mold growth can be damaging to your health and home. Specialized Cleaning & Restoration Inc offers mold removal and air quality control by certified technicians. Specialized Cleaning & Restoration Inc is your source for disaster restoration and home repairs, including mold removal and water damage of all types. Mold is known for damaging personal property and seriously affecting the health of the residents within a household. People with asthma or allergies are at an even greater risk of having health related problems. We offer certified mold removal throughout North Dakota and the upper Midwest region. Mold Grows: Mold needs moisture, temperatures above 40 °F (4 °C), and organic material to survive. Mold Destroys Your Home: Professional Builder Magazine warns that mold will dramatically lower the value of your home. Mold can lead to serious structural damage to your home. Warning, do not ignore water damage issues and fix the problem immediately. Cleaning Visible Mold is Not Enough: Mold can grow in fiberglass insulation, on top of ceiling tiles, inside ducts, behind drywall panels, in wall cavities, and behind wallpaper. Even when it’s visible, it’s often impossible (even for an expert) to tell the difference between mold, soot, and dirt without testing. The mold you can see is just the beginning, and some of it is extremely hard to find. Mold Cleaning is Hazardous: It only takes 3-5 mold spores to cause an allergic reaction, and some molds contain mycotoxins that are carcinogenic or deadly. Vibrations and movement will cause mold to release their spores; it’s easy to accidentally knock hundreds of thousands of spores loose from a single patch of mold. 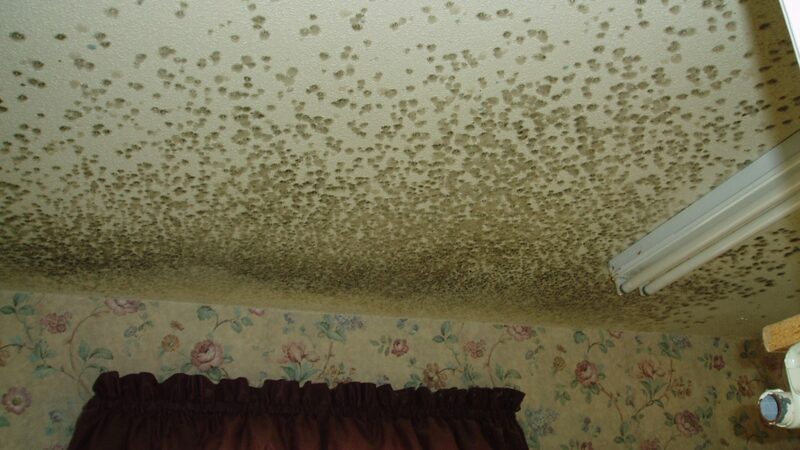 And that’s just a drop in the bucket: Recent research has shown that up to one billion mold spores can be found in just one square foot of drywall. Mold Removal Requires Professional Equipment and Training: Mold removal experts have a variety of state-of-the-art equipment that they use to identify sources of moisture, to dry out wall cavities, and to safely remove mold that is growing in your home. Samples of mold may be analyzed in a laboratory to identify potentially toxic strains, and special cleaning agents may be used to restore property. While some contractors are jumping on the “mold is gold” bandwagon, it’s important to find the established, trained, and equipped contractors that are committed to the industry for the long haul. We have qualified technicians and equipment that will take care of all your needs and we also schedule any other services that you may need to clean up after your water damage. All you have to do is give Specialized Cleaning & Restoration a call and we do the rest from start to finish.